Agency drp is expanding its offices after reporting a record 2015, which saw an increased turnover of more than £15m. The agency, which is predicting a 20% increase in profit for 2015, has taken on a new building at its Midlands headquarters in Hartlebury. Consisting of three new areas with floor space of 3,173sqm, the extra space will allow the agency to create a dedicated area for its technical and construction team, enabling it to expand and invest in more equipment and giving it the room to test its larger creative concepts. 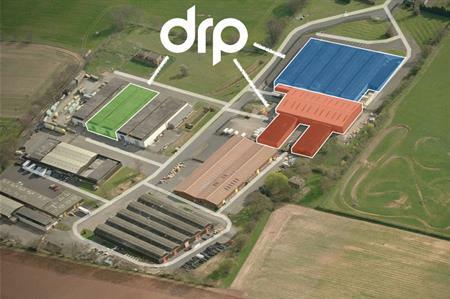 The building will give drp a new construction workshop, double the size of the current space, a new set and scenery storage area and a number of dedicated loading bays. There is further expansion planned in the office area in due course, as the agency plans for more growth within its team in 2016 and investment in resources and facilities. Group CEO Dale Parmenter said: "2015 has been challenging and a very busy year. We hit a milestone with our 35th anniversary and increased team numbers by 30. Although it was a year of hard work, we’ve seen the reward and the team received a bonus this year as a 'thank you' for all their efforts. I’m excited for what’s in store for 2016." Meanwhile, the agency also promoted Ryan Curtis-Johnson to the role of head of PR and marketing, where he will head up a team of three in seeking out new marketing opportunities.